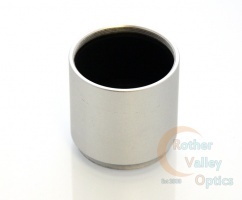 Eyepiece Holder Plug - Focuser Dust Cap 2"
Used Antares eyepeice bolt case to fit plossl style eyepieces and barlows. These cases open and close with a twist motion and can be adjusted in length. Used but in very good condition. A nice pocket magnifying lens with leather case. The lens gives 5X magnification. Comes boxed. Shoe to fit Skywatcher and Celestron red dot finders in full working order. This can be used to attached the stork from a red dot finder to your telescope. Slightly curved so can be used on many telescopes. Second hand but in perfect condition. No box is included. Nikon’s mini tripod is a lightweight, portable tripod that’s ideal for compact digital cameras. Used mini tripod in good condition, with1/4" universal screw thread. Ball head with lock for multi-positioning. 40mm extension tube with male to female T2 thread. In very good condition. This is used to achieve focus with SLR and CCD cameras. 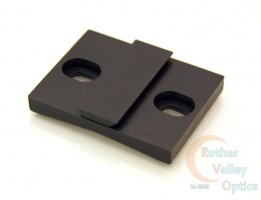 This can also be used as a spacer to increase magnification and image scale. Second hand unbranded 6mm eyepiece. 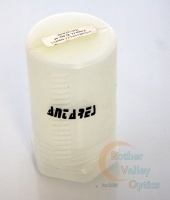 The lens is in very good condition, the optics are clean and have been checked. 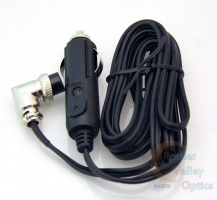 This is a nice affordable 6mm high power eyepiece for planetary observing. Used but in very good condition. The lens has been checked and the optics are clean. 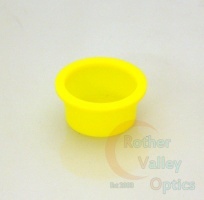 This is a 20mm with Huygens optical configuration, 1.25" size. 12V DC power cable for Skwatcher AZEQ5 and AZEQ6 mounts. The cable has had little use and is in full working order. This is a high quality cable with a fused a cigarette lighter socket. 2 metres long.